A 17-year-old Caucasian female has been referred for respiratory problems during exercise. She was diagnosed with asthma in early childhood and has been receiving treatment with Singulair, Maxair and Advair. She feels that during the last 5 years her asthma has gotten worse, especially in the last year. The symptoms are more pronounced when she exercises. Some of her reported symptoms extend beyond the scope of a typical asthma attack, for example, she reports trouble getting air in rather than out, changes in her voice, even losing her voice to the extend that she cannot speak. The symptoms are mostly when she exercises and they are not relieved by the use of a short-acting bronchodilator, Maxair inhaler. She reports symptoms of trouble getting air in and changing her voice also with strong emotions or anxiety, but she does not have history of typical anxiety attacks. She does have nasal congestion. She has been treated with prednisone bursts 4-5 times in the past year. No emergency room visits or hospitalizations. She reports slight relief in her symptoms with the prednisone, but not complete relief. She does use albuterol 30 minutes before exercise, but does not feel that this prevents her symptoms and there is no evidence of improvement with Advair, which has been started in the past year. She is an active athlete and she runs track. Singulair 10 mg p.o. q h.s., Advair 100/50 one inhalation b.i.d., Maxair as needed. Allergic rhinitis in her mother. HEENT exam showed pale boggy turbinates on both sides. The rest of the physical examination was unremarkable. What tests would you suggest? Procedures done today included a spirometry, which showed FVC of 81%, and FEV1 of 91%. However, she had trouble achieving the peak of the flow volume loop and there was early stop of the expiration. The specifics of the maneuver showed some features of vocal cord dysfunction during the performance. This is a patient with predominantly exercise-induced respiratory symptoms. The full explanation of the symptoms can be provided by the diagnosis of asthma and/or exercise-induced bronchospasm. From the history, examination and the spirometry, there is some evidence that vocal cord dysfunction plays a significant role in her symptoms. Vocal cord dysfunction is exemplified by the patient having trouble inhaling rather than exhaling air and voice changes during the attack. Also, the fact that her symptoms are not alleviated by inhaled bronchodilator makes the diagnosis of vocal cord dysfunction more likely. She does have evidence of allergic rhinitis on physical examination, but the patient declined skin prick testing at this time and will consider it at a later time. The current treatment with Singulair and Advair was continued. The inhaler technique and administration was reviewed and it was correct. A laryngoscopy evaluation by ENT for vocal cord dysfunction was arranged. A nose spray was prescribed, Nasonex 1 spray in each nostril b.i.d. Vocal cord dysfunction in an athlete. Video: Expiratory Vocal Cord Dysfunction and Laryngopharyngeal Reflux. CityAllergy: 62 yr old woman w/spasmodic coughing, wheezing and chronic dyspnea. Her PFTs showed a barely obstructive contour and she did not improve with inhaled or oral steroids. Her endoscopy showed evidence of LPR and posterior kinking of the larynx with expiration (classic VCD has inspiratory kinking). Vocal Cord Dysfunction: Differential Diagnoses & Workup. 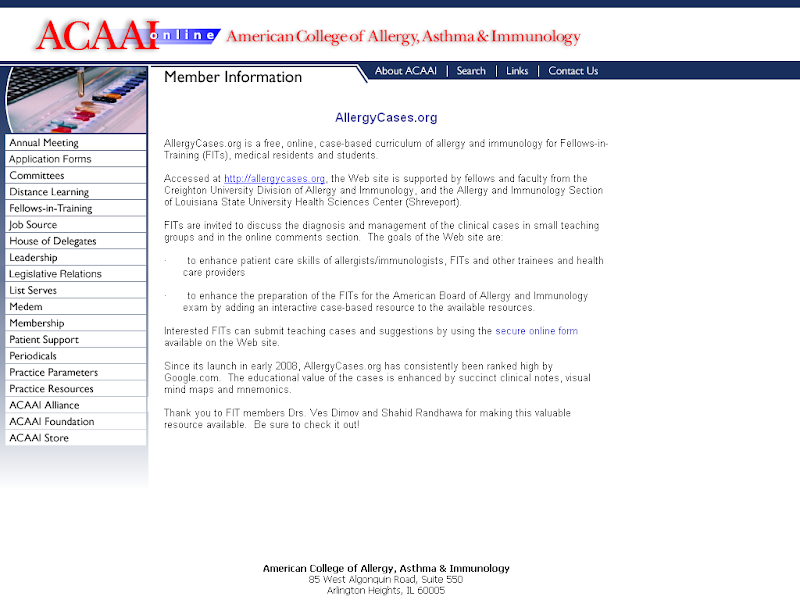 eMedicine Specialties > Allergy and Immunology > Asthma. Paradoxical Vocal-Cord Dysfunction: Management in Athletes. J Athl Train. 2002 Jul–Sep; 37(3): 325–328. Vocal Cord Dysfunction: Paradoxical Vocal Cord Motion. Grand Rounds Presentation, UTMB, Dept. of Otolaryngology, 2001. Olympic athlete hopeful improves her symptoms - and running time - after vocal training for vocal cord dysfunction. Daily Mail, 2011. Daniel E. Martin, PhD, SLP is the Director of the University of Chicago Voice Center, he specializes in VCD.